After many months of concentrated effort the California State Assembly just recently passed amended legislation that provides permanent status for reauthorization of the highly successful Off Highway Motor Vehicle Recreation program. The State Senate concurred and the legislation was submitted to the Governor for signature. On October 3, 2017, the Governor signed legislation making the OHMVR program permanent. BAKERSFIELD, CALIFORNIA - After nearly a year of work with the California Legislature, State parks, Governor Jerry Brown, and stakeholders from across the country, the California OHV program has been extended. In addition, there’s a partner bill that makes the program a permanent part of recreation in California.
" Welcome to another edition of eNews. A busy month for many of the UFWDA board members as several attended the SEMA show and the many associated meetings that are scheduled during the show. There are usually several recreation related gatherings and among them this year there was a 'One Voice' meeting under the guidance of ORBA, that UFWDA was involved in. With all the meetings it seems that there was not so much time to explore the vast array of exhibits, but I've been sent a few shots of what was there and others will be in the UFWDA Voice shortly. There has also been a BOD meeting that looked at the SOP's for UFWDA membership and some changes are underway. None change the basic membership fee. " It’s election season and that means your Federal-level elected officials have left Washington, D.C., to campaign in communities and states across the country until November. This is an ideal time to reach out to lawmakers and urge them to support the RPM Act before the end of the year. The U.S. Department of Agriculture, Forest Service is proposing to amend regulations pertaining to the National Forest System Land Management Planning. The proposed rule would amend the administrative procedures to amend land management plans developed or revised in conformance with the provisions under a prior planning rule. Today marks the 50th anniversary of the National Historic Preservation Act. Welcome to this edition of eNews and to readers who've recently joined us. I've just recognized that this edition did not publish earlier this month as scheduled, so here's a belated September edition. As summer and holiday memories fade for those in the northern hemisphere, the pending elections may be diverting attention from opportunities to be a part of various 'advisory' groups, as several have needed to call more than once for candidates. Another reason may simply be a general reluctance to volunteer? Welcome to this edition of eNews and to those readers who've recently joined us. I was wrong in my assumption that the UFWDA Annual Meeting would be a quiet affair... it buzzed with enthusiasm as we had some highly respected volunteers step forward at the last moment to help with roles on the UFWDA board. We'd like to thank Veron Ball for his considerable efforts as he steps away from the role of vice president and maybe we can persuade him to continue to represent UFWDA in negotiations for the use of a racecar facility as a 4x4 event location? Your input of topical material for each eNews is still vital, so please keep UFWDA and our readers informed by emailing to editor@ufwda.org before the 10th of each month. The United Four Wheel Drive Associations Board of Directors is pleased and proud to announce that we have a full Board for the first time in several years. With the additions of current President of the California Four Wheel Drive Association, Steve Egbert, current President of the Southern Four Wheel Drive Association, Ray Stanley, and past President of the Colorado Association of Four Wheel Drive Clubs, Jim Dixon, the United Four Wheel Drive Associations is stronger than ever. Steve Egbert has grown the Cal4 organization to a thriving and dynamically strong force in California. Ray Stanley has reorganized the Southern Four Wheel Drive Association into a well-oiled organization that has become a very strong and vibrant group of fun-loving, hard-working people. Jim Dixon made great strides in doing the same reorganization to the Colorado Association of Four Wheel Drive Clubs during his term. 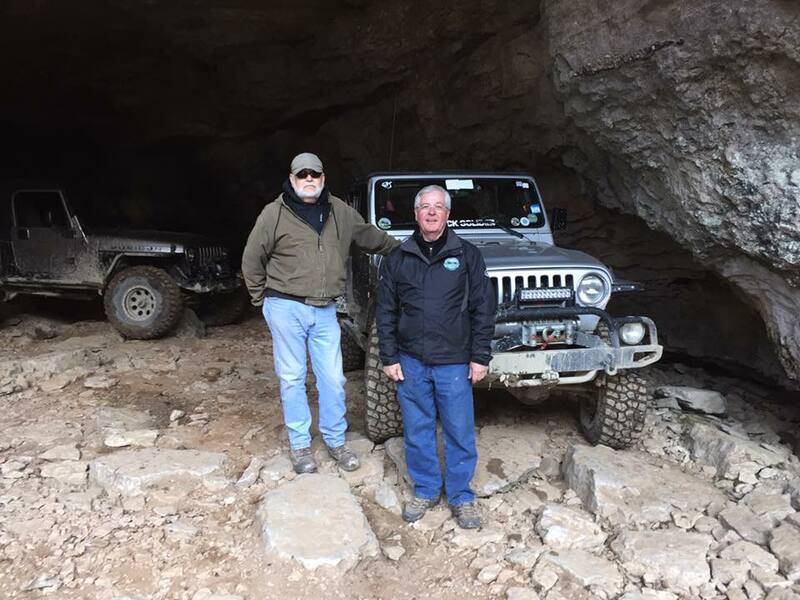 Tom Mandera and Jerry Smith are past-Presidents of the Montana 4x4 Association, with Peter Vahry a past-President of the New Zealand Four Wheel Drive Association. Together with the old board members, we are looking forward to making some serious upgrades to the UFWDA operations very soon. The new Board of Directors will be setting a new agenda with achievable goals and accountability to make the goals reality. A new vision of what can be accomplished is about to be made possible. A business plan will be implemented to set the course of a reorganized United Four Wheel Drive Associations. Very soon you will see a new and rejuvenated United working hard to keep our beloved roads, trails, and Great American BackCountry accessible for motorized recreation. The new Board of United is always open to suggestions about how we may better serve our members and the 4-Wheeling public. If you have a suggestion or an issue you believe we might help with, please contact us. For land use issues, please contact Jerry Smith, Director of Environmental Affairs. In fact, even if you have no current land use concerns, if you are into land use, please contact Jerry to be added to his network of land use champions. We need your voice. Can I walk in the water to Cape Point? Currently Cape Point is reduced in size due to erosion and flooding. Temporary wildlife closures extend into the ocean, encompassing the shoreline. Because of this, the shoreline is closed. If one were to walk the closure boundary closest to ramp 44 they would need to stay 75 meters into the ocean to stay outside of the nesting bird closure. And 30 meters off the tip of Cape Point in the ocean to stay outside of the nesting bird closure.Currently there is no legal or safe way to access Cape Point by walking in the water. Can I walk outside the park boundary? One would have to stand in deep water the entire time depending on time of day and tide cycle. Whatever actions one undertakes outside of the parks boundaries that affect the wildlife in temporary wildlife closures in the park are subject to various federal regulations. They would be violating federal regulations if they became tired and needed to walk onto the beach (into the closure). Temporary wildlife closures and buffers are in place to protect federally listed species, species of concern, and other wildlife at Cape Hatteras National Seashore. The California Four Wheel Drive Association and our partners in the California Motorized Recreation Council and the Coalition for Public Access are currently working on reauthorization of the state OHV Program. While we often complain about our state government and what they do, the OHV Program is an example of our state government at its best. Federal, State and Non Profit Groups depend on the Grant Funds that the OHV program provides to do real work on the ground to maintain and increase OHV opportunities all over the state. 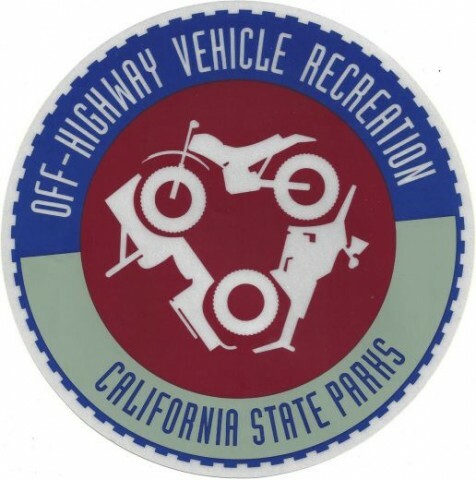 The OHV program is a separate division of California State Parks. California State Parks has struggled with a number of issues over the last few years and is going through a reorganization, or transformation process. State Parks has not been very transparent through this transformation and the OHV program is threatened as this process moves forward. State Parks is proposing elimination of the OHV Division and managing the program in the larger State Parks Department. Why is what is happening with California State Parks important to you? Because State Parks is more than the State Vehicle Recreation Areas (SVRAs), it encompasses the Grants Program, the OHV Trust Fund and the OHV Commission as well. There are many questions on what is going to change in the transformation process, but be assured that if you recreate in California on public lands it will affect you. We will continue to update the available information on our web site and Facebook pages. We may need your help in the near future and we will notify you via e-mail, our web site and social networks when we have a need for action. The Santa Fe National Forest has released their Draft Wilderness Inventory Maps. These maps are Step 1 in a four-step process to identify and evaluate lands that may or may not be suitable for inclusion in the National Wilderness Preservation System as part of Forest Plan Revision. Draft maps can be found online here. Copies of the maps are also available in print at the SFNF Supervisor' office and District offices as well as many public and community libraries around the Forest. The Forest Service is claiming that the Draft Inventory generally excludes areas with public roads, the most noticeable man-made improvements, and stand-alone areas considered too small to manage as Wilderness. A careful review of the maps may lead one to think otherwise! Once finalized, the Inventory will be evaluated for Wilderness characteristics (Step 2) and analyzed for impacts of potential designation (Step 3) prior to any potential recommendation to Congress (Step 4). In September 2016, there will be a series of public meetings to gain preliminary input for Evaluation (Step 2), and more information will follow. A spreadsheet with all comments received from the public, how the Forest Service used them in the Inventory (Step 1), and how they will use them in future steps is available on the SFNF website and can be accessed by clicking here. NMOHVA urges our membership and concerned public to review these maps and provide feedback on them and the inventory criteria.Comments are most useful by August 15th (yes, that is now!). Here is also a reminder that Scoping comments are due on the SFNF Plan Revisionby August 17th. We explained why Scoping comments are important and what comments are most useful in an Access Alert sent out on July 13th. You can review that article by clicking HERE. The Forest Plan revision process has a better chance of a OHV-friendly outcome if we all participate. The access you save will be your own! Applications due December 27th, 2015. Classes begin January 11th, 2016. NOHVCC is once again proud to administer a scholarship for a semester of the Marshall University OHV Recreation Management program. This semester's scholarship is being offered by the Right Rider Access Fund. The applications are due in to the NOHVCC office on December 27th, 2015. NOHVCC will review the applications and choose a winner in the shortest amount of time possible. Spring courses begin January 11th. For more information regarding the scholarship or to receive an application, contact NOHVCC staff attrailhead@nohvcc.org. For additional information regarding the content of the course, contact Theresa Litteral M.S. at stanton3@live.marshall.edu . The Right Rider Access Fund is a charitable, community benefit organization created in 2011 to support off-highway vehicle enthusiasts directly; by supplementing the work of the Motorcycle Industry Council, the Specialty Vehicle Institute of America, and the Recreational Off-Highway Vehicle Association; and in other ways. The Fund's charitable mission is to promote the safe and responsible use of off-highway vehicles and to preserve their access to appropriate lands. Additional information on ORBA can be found at www.ufwda.org and www.orba.biz. 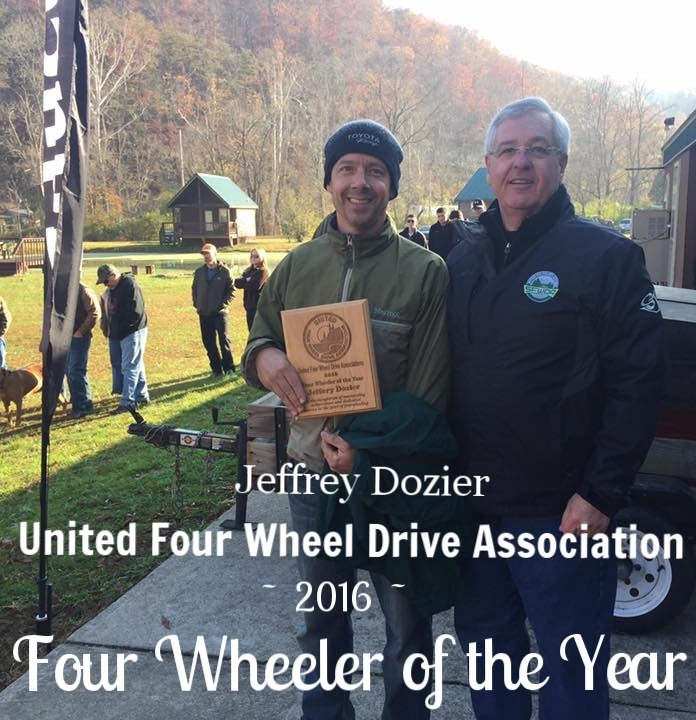 Compliments of the Season and welcome to your monthly 4x4 news update from UFWDA. • Access Alerts - California Four Wheel Drive Association, Inc.
• Will the El Nino Weather bring more of this? • The National Parks and Federal Recreational Lands Annual Pass.